If you love the look, feel, and features of a new car but have a budget more suited to buying a used car, then a certified pre-owned vehicle may be the choice for you. CPO vehicles combine many benefits of new-car buying but come with a more affordable price tag. But what does certified pre-owned mean? Let’s take a look. When you buy a CPO Acura, you are getting a car from a more recent year and often with less mileage than used vehicles. In order to become a certified pre-owned vehicle, it must undergo a thorough inspection and meet certain requirements. To be labeled CPO, it means that the vehicle meets the expectations. CPO vehicles also offer benefits you’d find with new vehicles, such as warranty programs and roadside assistance. You get both with the the Acura CPO Program, which includes a basic warranty for 12 months/12,000 miles and a powertrain warranty for 7 years/100,000 miles. 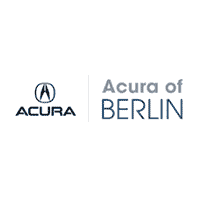 To learn more about the Acura CPO program or to explore our CPO inventory in person, contact us to set up a visit to our Berlin showroom. We can show you around and take you for a test drive in your favorite certified pre-owned model. 0 comment(s) so far on Why Buy Certified Pre-Owned?